When Marie became a journalist, she was surprised that the stories of these ten children were not written. "I thought there must be somebody who has written this all down. But there was nothing written. It was like when snow has fallen and everything is completely white and nobody has run into it. That was my first impression, that it was completely blank. There was nothing about it, only publications in the newspapers. 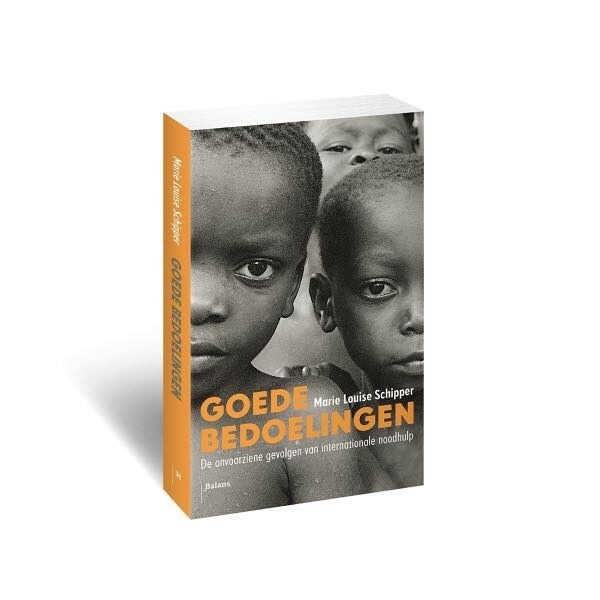 When I started interviewing people everybody said, ‘No, I don’t remember these children, I don’t remember them.’ And I said, ‘Why don’t you remember them, because it doesn’t happen often that ten children from Nigeria, out of a war, come to the Netherlands.’ I felt they were hiding something. And I thought, ‘What are they hiding?’ I discovered that one of the children who was here had epilepsy and he was really ill. He was a bit retarded and was also in a foster home. He needed a lot of attention but people from the Nigerian embassy were very strict and said the children have to go back to Nigeria. The foster parents didn’t want to let them go because they didn’t know where they were sending them to. The foster parents of the sickest child were under so much pressure, so they decided to send him back to Nigeria. He was first sent to Gabon, with enough medicine for half a year, and afterwards sent to one of the rehabilitation centers at Ikot Ekpene. His family didn’t show up, so he was sent to Nung Udoe Orphanage and he died shortly afterwards. And I think that was why all the doctors were saying they didn’t know a thing. That was the reason they didn’t want to talk about it because they sent a boy who was really ill back to a country that was recovering from the war without proper medication." “How did you eventually find somebody who told you the truth?” I asked. “Why do you think the Biafran authorities decide to take them to the Netherlands instead of Ivory Coast, Gabon or Sao Tome?" “There reason was primarily because of Abie Nathan, an Isreali pilot. He was also a humanitarian and did a lot of food aid. He tried to mobilize the Isreali people to send in goods and food for the people of Biafra. He was very popular and charismatic, and had a lot of connections in the Netherlands. He was filmed by a television crew asking people to do something about Biafra; that everybody should give a hand. When this documentary was broadcast a lot of people got mobilized. He said he convinced Ojukwu that these children should be sent to the Netherlands where they could get proper help. But Ojukwu said no. Finally they decided to bring the children to the Netherlands as a symbolic gesture where the children in Europe would get acquainted with the Biafran children while the Biafran children would get more knowledge about the world. The decision was made and ten of the children came to the Netherlands. When Marie started to gather material for her book, she knew she had to make the trip to Nigeria. “That was very courageous of you. So, how did the journey to Nigeria start?” I asked. “Is it still there?” I asked.